Many home price analysts noted that today’s Case Shiller indices continued to record year-on-year (“YOY”) gains. While YOY gains are a great way of addressing seasonal issues, and take on a more “over time” perspective, a fixation on YOY gains may hide turns in the market. 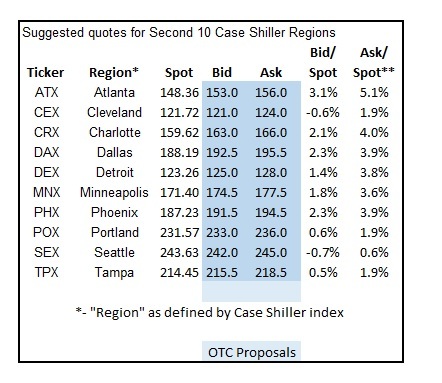 While the CME Case Shiller contracts cover many of the largest cities, I frequently get asked about hedging either other regions, or more narrowly defined geographic areas with the ten traded Case Shiller regions. I believe that, in concept, OTC trades can be structured between two willing, informed parties, that will allow a user to hedge any index, using forwards and options. 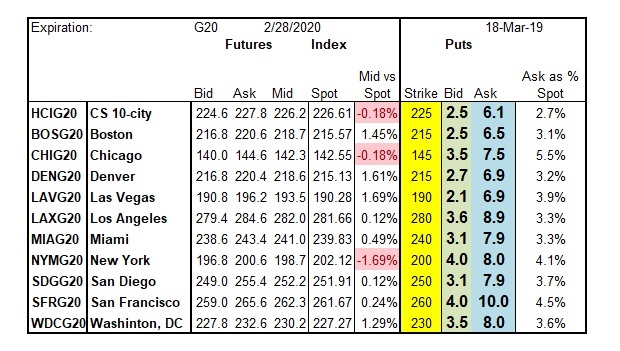 I’ve posted quotes at the CME for puts on the ten regional Case Shiller home price contracts (and the 10-city index) that expire in Feb 2020. Recall that these options will settle on the value of the Case Shiller index released that month, and that that index references data through year-end 2019. I imagine that one of the biggest challenges facing a first-time home buyer (and their real estate agent) is the binary leap from 100% rent to 100% buy. Such a jump is often the biggest financial decision that people have to make. With new homes costing $400-750,000 in certain markets, this is a decision that involves a multiple of annual income. How can the upcoming wave of Millennials get comfortable that they’re making the right decision when looking at homes? Yes, I’m going to pile on to social media efforts to capitalize on Super Bowl interest. 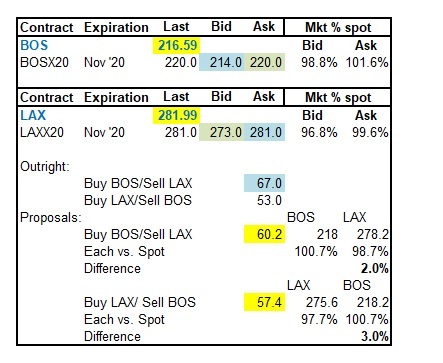 Of course what I have in mind is here is getting readers to debate which side they prefer of the current pricing that has the CME Case Shiller BOS contracts outperforming the LAX contract (using the X20/ Nov 2020 expiration) by 2 (percentage) points. In addition I want to illustrate how one might look at intercity spreads, to new readers. Majority of regions tipping toward negative HPA in 2019, falling from there in 2020. 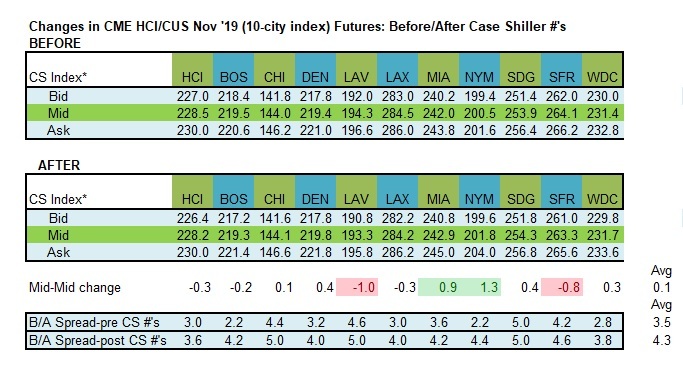 Quotes on CME Case Shiller home price index futures have tipped over toward being consistent with negative HPA in 2019 for five of the ten regions (NYM, CHI, LAX, SDG, and SFR). Of the other fiver regions none are much above zero HPA, with BOS, DEN, and WDC just below 1%. Only BOS and LAV are priced for more than 1% gains against today’s spot levels. 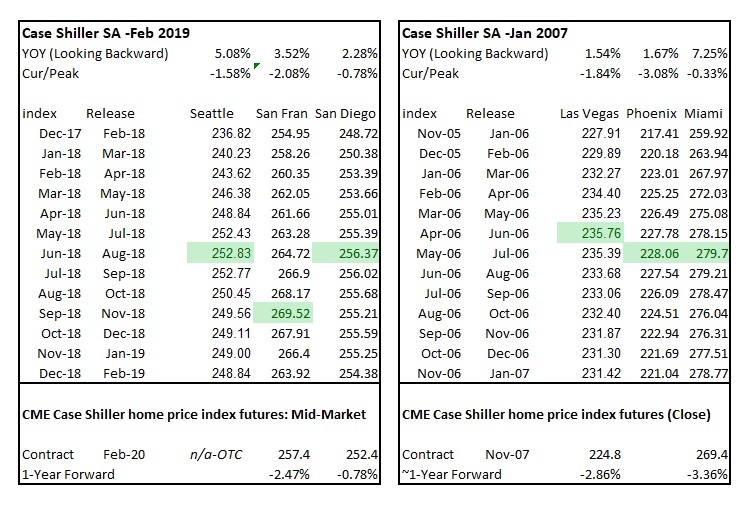 I’ve compiled an interesting set of data that I’ll use to illustrate how the CME S&P Case Shiller home price index futures have traded over the last 7+ years. It may help traders understand how to better trade the contracts, as well as quirks within the contracts. I will be blogging about over the next few weeks, to include an analysis the robustness of contract prices in forecasting, contract biases, and volatility. I’m open to ideas on what readers might want to see, and would be open to slicing and dicing the information to address any longer-term questions. 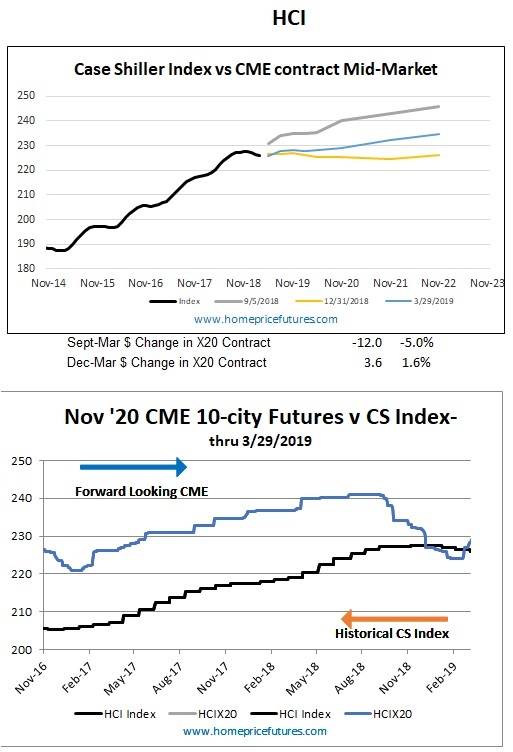 Might yesterday's Fed announcement to leave rates unchanged, justify higher home prices, and therefore higher (short-term) CME Case Shiller futures? 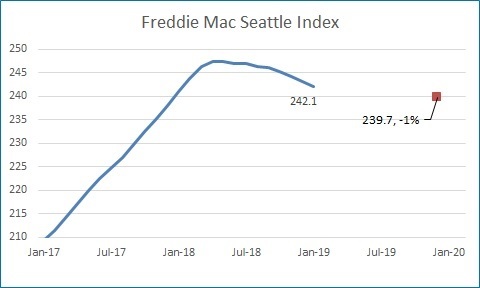 Looking to jump-start Seattle home price hedging agreements. The CME Case Shiller home price index futures are about unchanged (at an aggregate level). 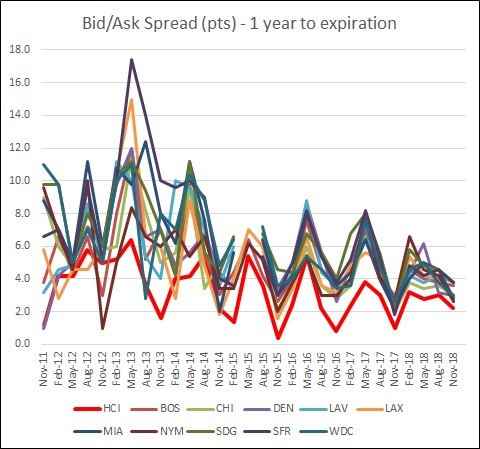 The table below illustrates quotes for the Nov '19 expiration (X19) for the ten-city index contract (HCI) as well as the ten regional components. 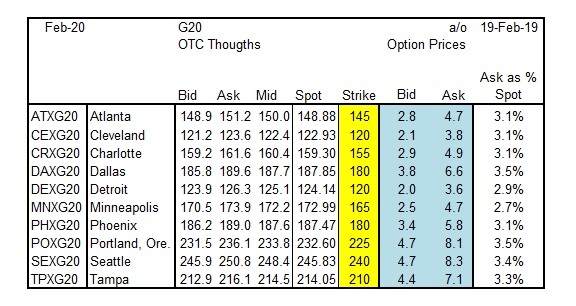 Bids, Asks, and Mid-market levels are shown from late yesterday and earlier this morning. This blog is a set of answers to FAQs related to the question -"How do I get started trading Case Shiller contracts". I've posted a recap of activity in the CME S&P Case Shiller home price index contracts for Q1. 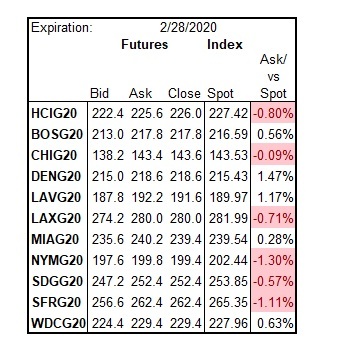 Suggested levels for OTC agreements on "Second 10" Case Shiller indices, for Feb 2020 expiration. Quotes for puts on Case Shiller home price index futures have been updated. 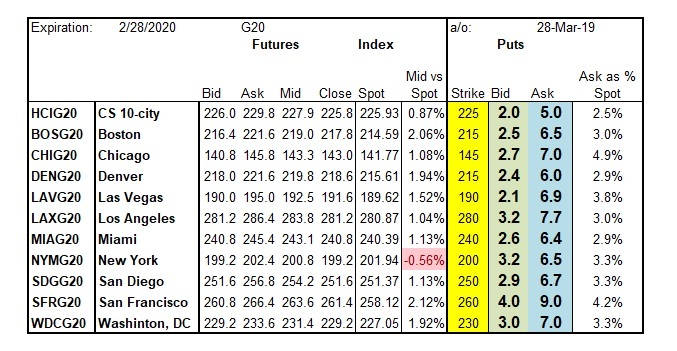 Prices continue to drift lower as futures rally. 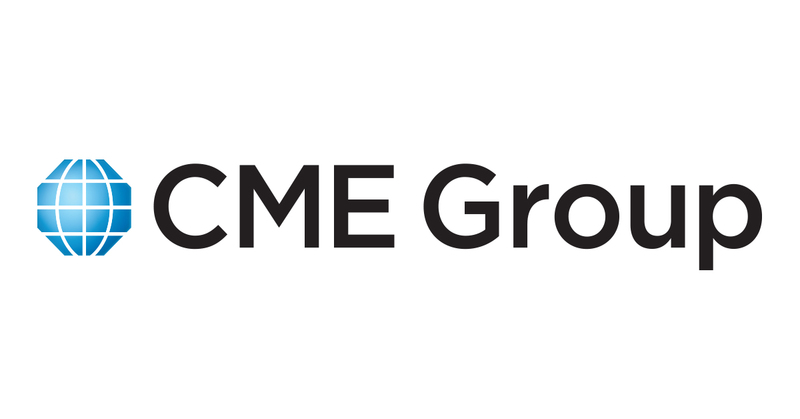 Quotes for CME Case Shiller put options have been updated. 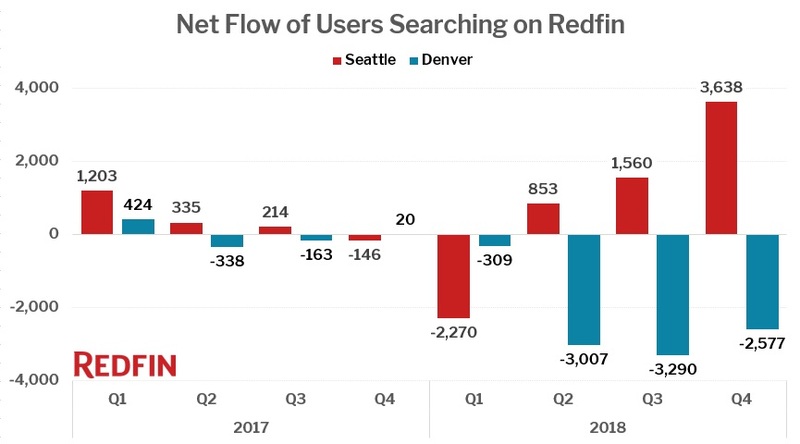 Prices lower since Feb.
Redfin recently published a great piece that detailed how some residents look beyond their local area for their next house. They noted that many many people in a region look at the same next cities (sorted both by in-state and out-of-state searches) with certain marked preferences. For example, many LA residents eye San Diego, New Yorkers frequently consider Boston, and Denver homeowners seem to covet Seattle’s low taxes. LAV -The quintessential region for home price index trading? 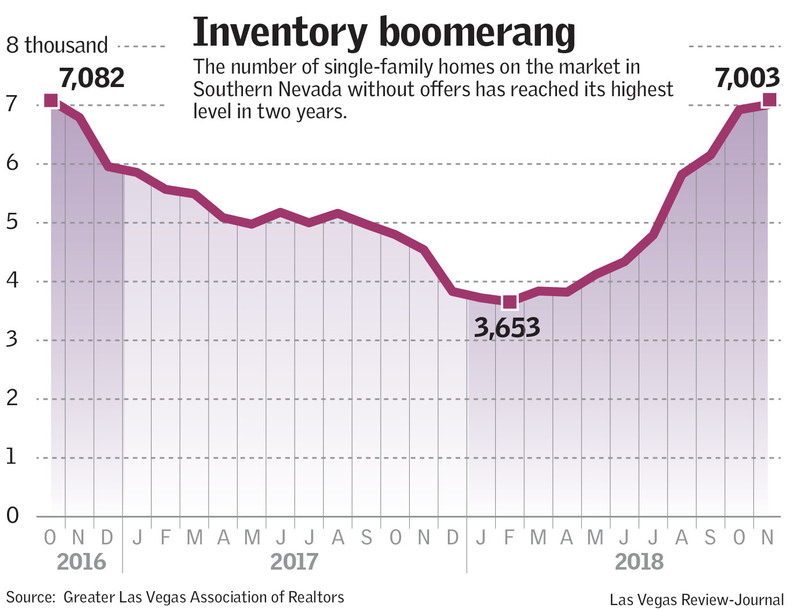 Las Vegas home prices have the tailwinds of population growth and the headwinds of accessing sustainable water supply, adding to the debate over future home price forecasts. Put option quotes have been updated (as of March 18). Recall a) that most any other combination of strikes and expirations is possible, and b) that I'm open to writing puts on other home price indices.